With this, the 60-member Arunachal Pradesh state Assembly now has 49 MLAs from the BJP, nine from the Peoples' Party of Arunachal (PPA), one Congress and one Independent legislator. Itanagar: The BJP today wrested both the Pakke-Kessang and Likabali Assembly seats from the Congress in the by-elections to these constituencies in Arunachal Pradesh. With this, the 60-member state Assembly now has 49 MLAs from the BJP, nine from the Peoples' Party of Arunachal (PPA), one Congress and one Independent legislator. BR Waghe of the BJP won the Pakke-Kessang seat by a narrow margin of 475 votes, defeating his lone rival and former deputy chief minister, Kameng Dolo of the Congress. While Mr Waghe polled 3,517 votes, Mr Dolo bagged 3,042, Joint Chief Electoral Officer DJ Bhattacharjee said. While the BJP candidate polled 3,461 votes, the PPA nominee secured 3,156 votes in the constituency, which witnessed a multi-cornered contest. While Congress candidate Modam Dini could secure only 362 votes, the lone Independent candidate, Sengo Taipodia, bagged 675 votes. 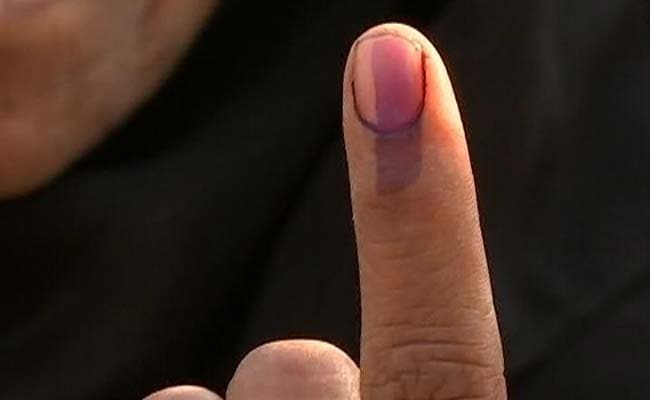 The constituency also saw 23 voters opting for NOTA, Mr Bhattacharjee said. Over 68.5 per cent electors had cast their votes in the December 21 by-polls, with Pakke-Kessang recording an 86-per cent voter turnout and Likabali 51 per cent. The Likabali seat had fallen vacant after then health and family welfare minister Jomde Kena passed away on September 4. The Pakke-Kessang seat fell vacant after the Gauhati High Court declared the election of Dolo from the constituency in the March 15, 2014 polls null and void, following an election petition filed by BJP nominee and former minister Atum Welly. Union Minister of State for Home Kiren Rijiju congratulated the BJP members for the victory in the by-polls.